This section showcases Charter Skippers of the highest quality and recommendation. Book with confidence. 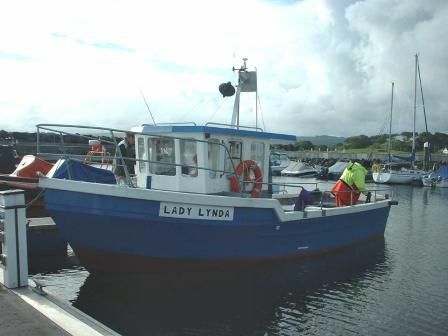 The "Lady Linda" Ballycastle Operating out of Ballycastle Marina, on the North Antrim Coast, The Lady Linda is a 26' vessel with a maximum capacity of eight anglers. 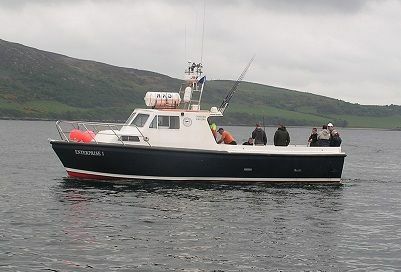 Rathmullan Charters, Donegal Located in Rathmullan, in North Donegal, Rathmullan Charters specialize in Wreck, Reef, Tope and Shark Fishing.